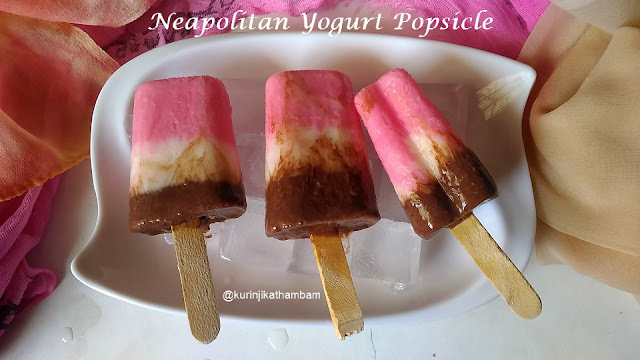 Neapolitan Yogurt Popsicle which uses the Neapolitan color sequence is multi-color yogurt Popsicle stacked one over another. The Strawberry and Coco combination is not only good for sight, but also in taste as well. Click here to view more popsicle recipes. 1. In a bowl, add curd and sugar. Mix them well with wire whisk. 2. Divide the mixture into 3 equal parts. 3. Add strawberry essence in one part and mix them well. 4. Add vanilla essence in the second part and mix them well. 5. Add coco powder and mix them well with third part. 6. Now pour 2 tbsp of strawberry yogurt mix (from 3) in you popsicle moulds. Close the moulds with cling wrap or cap. Then keep the popsicle mould in freezer for 2 hours or till the mixture becomes frozen. 7. Now pour 2 tbsp of vanilla yogurt mixture above the frozen strawberry popsicle. 8. Close the moulds with cling wrap or cap. Then keep the popsicle mould in freezer for 2 hours or till the vanilla yogurt mixture becomes frozen. 9. Finally pour coco yogurt mixture over the vanilla yogurt popsicle. Insert the popsicle sticks and close the moulds with cling wrap or cap. 10. Then keep the popsicle mould in freezer for 2 hours or till the mixture becomes frozen. 11. Now show the backside of the popsicle mould over the running water. 12. Then carefully remove the popsicle from the mould using the popsicle stick. 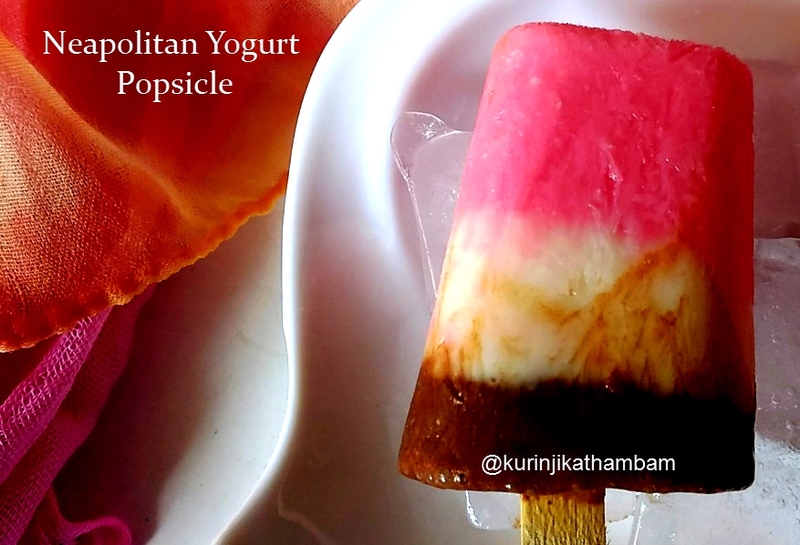 Wow wow yummy and delicious Neapolitan Yogurt Popsicles are ready! 1. 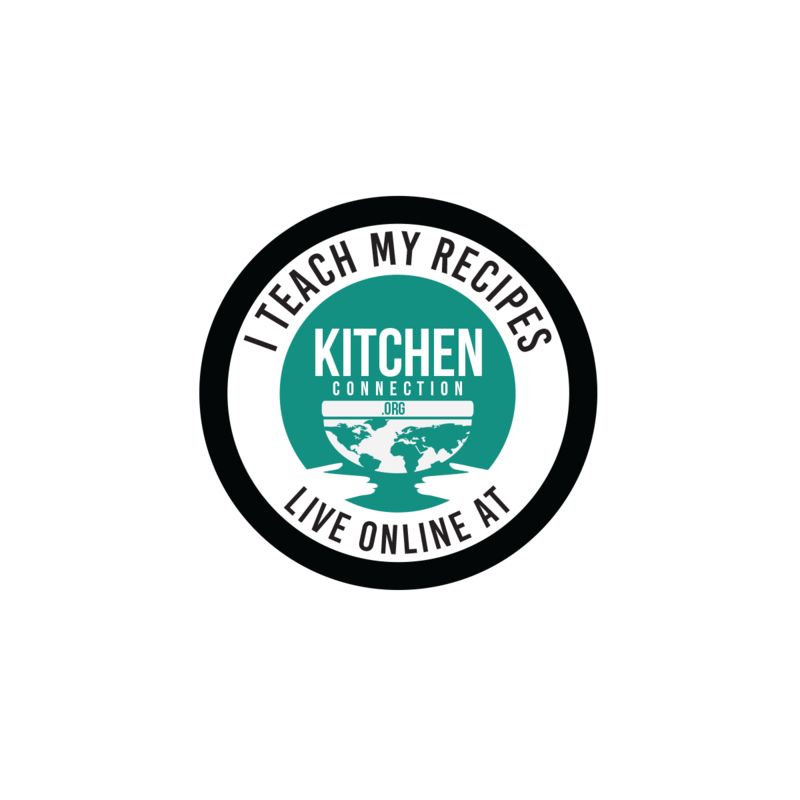 Use fresh strawberry pulp instead of essence. 2. Use freezer safe moulds instead of Popsicle mould. 3. You can use, use and throw cups also. 4. Adjust the sugar level according to your taste. such a colourful treat for summer. Nice combination of flavours too.